Setting up a saltwater aquarium can be stressful. There’s so much involved in regards to collecting supplies that is can easily become overwhelming. 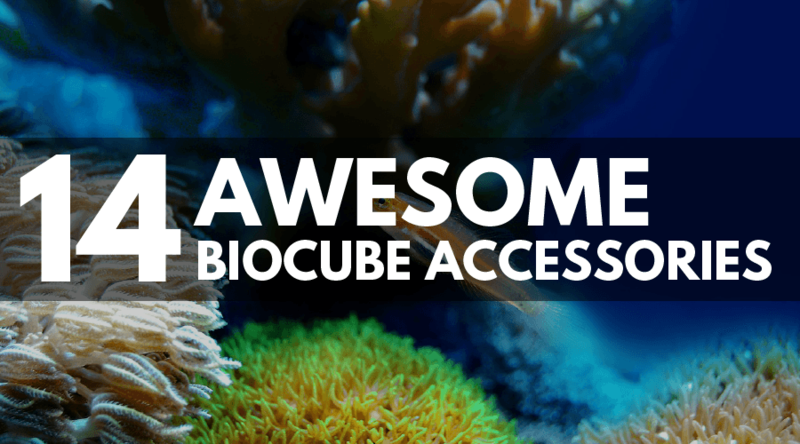 That’s why we’ve created this handy guide, which lists everything you’ll need to set up your new BioCube. Creating your dream aquarium setup really can be quick and painless! Designed to fit with the Comline protein skimmer and the Chemi-Pure Elite filter media, this media basket is sturdy, high quality, and includes a handle for easy setup and removal. This media basket is made out of laser cut acrylic and includes 2 water directionals to be used with or without a protein skimmer. It is also easy to install, making it the perfect choice. InTank is an amazing company and their media baskets are top of the line. It is available in a 16 gallon version and a 32 gallon version, so not matter what size BioCube you have there is a basket to fit your needs. 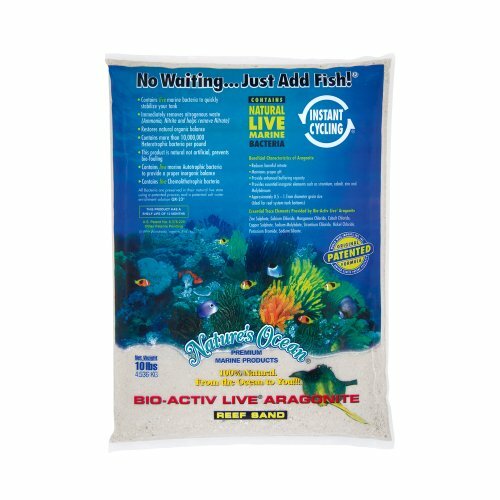 This 10 pound bag of aquarium sand is the perfect substrate for your BioCube tank setup. Not only does it look beautiful, it also contains live bacteria that help remove ammonia and nitrate, allowing you to add fish immediately. This sand also helps maintain a good pH level in your tank. Users note that the sand must be added to the tank immediately following the bag being opened in order to ensure the live bacteria does not die. Perhaps one of the most obviously important parts of a saltwater setup is the sea salt, and this product is one of the best on the market. 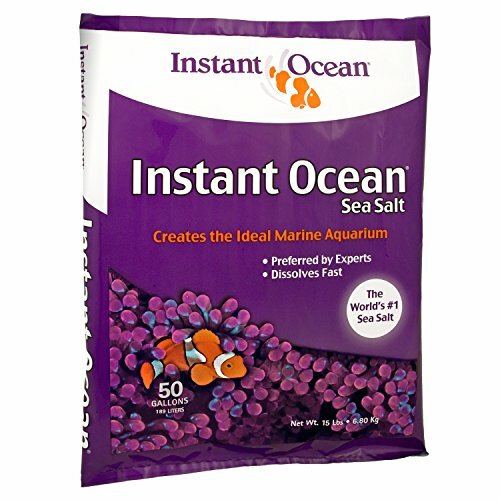 Guaranteed to be free of nitrates and phosphates and containing trace elements necessary to maintain a healthy ocean setup, this salt dissolves almost immediately. It also comes with the option to buy in bulk (200-gallon), which is perfect for long term use or for large aquariums. 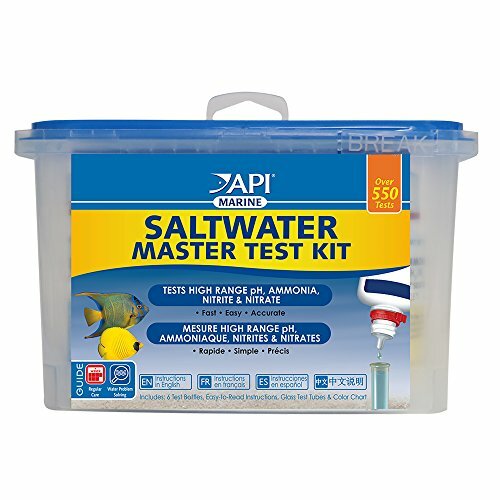 The best way to ensure that your tank water is optimal for aquatic life is with a test kit, and API makes it really simple with their master test kit. This test kit checks pH, ammonia, nitrite, and nitrate levels accurately, allowing aquarium keepers to monitor water quality and adjust as needed to prevent the loss of fish and other pets. This kit contains the necessities to perform 550 water tests; tests can be performed weekly or bi-weekly for best results. 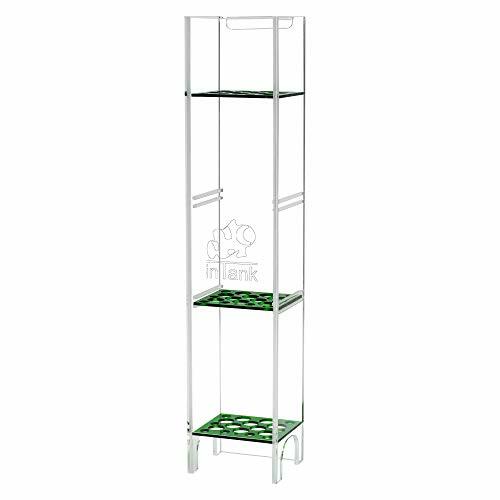 Sturdy design, compact in size and light in weight, convenient to keep up and carry around. 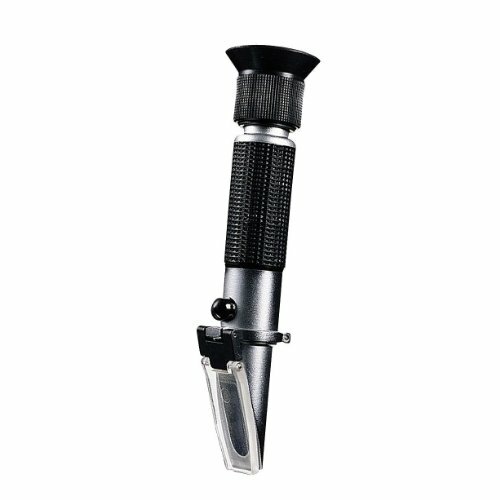 Compact, long lasting, and accurate, this refractometer is a must-have in order to monitor the salt levels in your BioCube setup. This scales 1.0 to 1.070 S.G. and is very user friendly. Included in the package is a carrying case, calibration screwdriver, and plastic pipette. There is also a 2 year warrantee included in purchase. This aquarium heater is very thin, allowing for it to attach to the tank and barely interfere with its surroundings. Accurate to within 0.5 degrees Fahrenheit, this heater is effective at heating water quickly and maintaining a constant temperature. 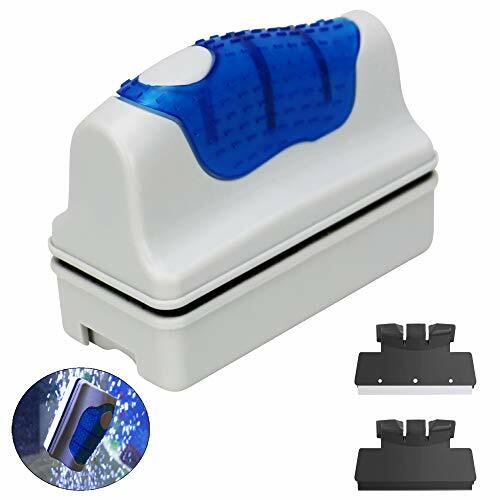 It also displays both the set temperature and the current tank temperature, and attaches easily to the back of any tank with suction cups. Shatterproof and fully submersible, this is the perfect heater for your BioCube. In order to maintain proper temperature, you’ll need a reliable tank thermometer. This one comes with a promise of accuracy within 0.1 degree, and is digital, making it easy and quick to read. The suction cup allows for a simple setup, and it can read temperatures between -50 and 70 degrees Celsius. 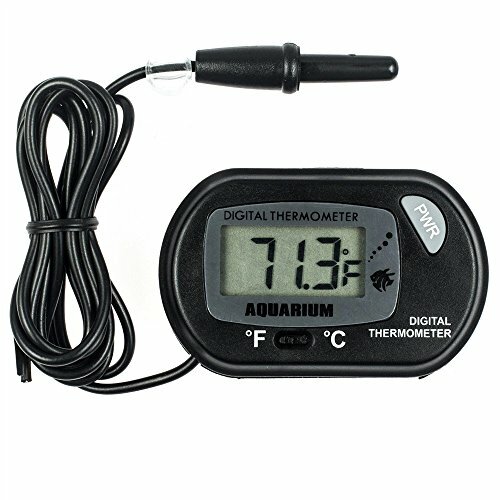 This thermometer requires a LR44 cell battery, which is included in the package when the thermometer is purchased. 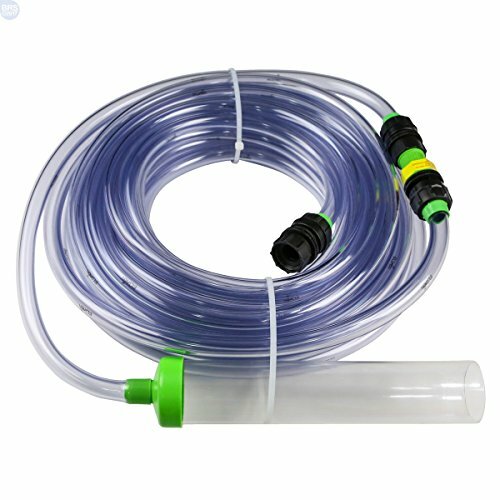 This circulation pump is a necessity for your new BioCube setup, with a handy “magnet-suction cup” for easy setup. 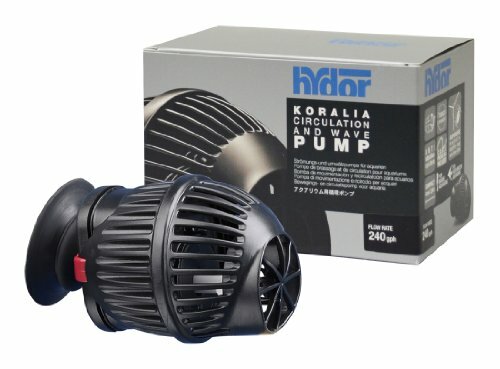 With 3 different sizes for different aquarium setups, this pump is small, powerful, and nearly silent! It also is incredibly cost effective, and lasts a long time. It’s worth noting that the magnet system is very strong and should be used carefully so as not to crack aquarium glass. These cartridges are perfect for keeping your biocube filter running smoothly. Affordable, universal for all BioCube systems, and available in 6 pack sets, this product helps keep water clean, and removes odors and discoloration from your tank. They require a replacement about once per month. For fittings refer to user manual. This small, energy efficient, and user friendly protein skimmer will help filter your BioCube effectively. Like many other things on this list, the Comline is mounted onto the tank with the use of strong magnets, making for quick and easy setup. It is incredibly effective at removing waste and keeping tanks clean and ideal for fish. This inexpensive water conditioner is available in 4, 8, or 16 ounces, although I always recommend buying in bulk. 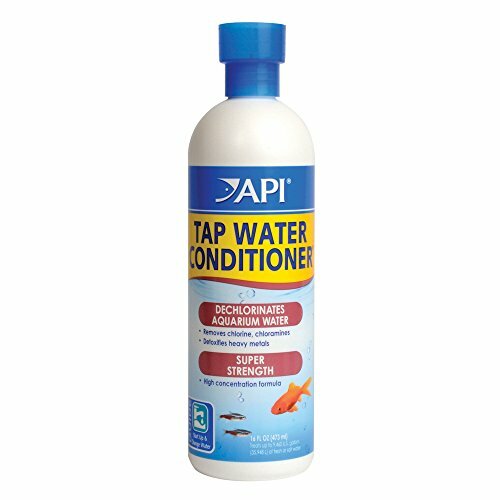 This conditioner can be used in freshwater or saltwater aquariums and should be added to tapwater to remove chlorine and other harmful chemicals, and detoxifies heavy metals, making the water safe for fish. Removes phosphates, silicates, odors and color-causing's dissolved organic molecules. This incredible carbon filter media will help keep your tank water clean and clear. It also helps remove odors, phosphates, silicates, and fish waste. 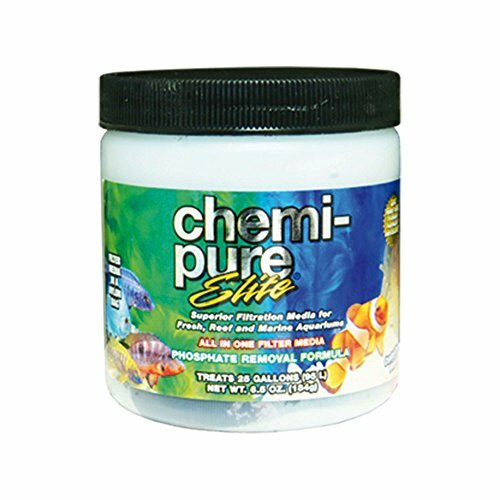 While pricier than most other filter media options, Chemi-Pure Elite is well worth the extra money as it lasts a long time and goes above and beyond in terms of keeping water clean. This awesome system hooks directly to your faucet or hose and uses water pressure to clean your tank, eliminating the need to create a syphon. It also doesn’t require a bucket, as it empties aquarium water directly into your sink, making it quick and mess free. The No Spill can also refill your tank with tap water (which will need to be treated). While a little on the pricey side, this cleaning system is by far one of the easiest on the market. This genius product makes cleaning your aquarium glass quick and painless. Using magnets, the cleaner is attached to the glass with a handle on the outside. Cleaning only requires users to move the handle outside the glass, and the magnetic inside will follow, wiping away algae and grime that has built up and keeping your aquarium glass clear and sparkling! Available in 3 sizes, this tool is perfect for any aquarium setup.